Destiny’s long-awaited new economy and Exotic tuning are on their way so soon that the patch notes are being written up. Destiny players have been calling for changes to the balance of under-powered Exotic weapons, and for new ways to earn and spend the game’s many currencies, for slightly longer than Bungie has been promising to implement them. While we still don’t have an ETA, the latest Weekly Update on Bungie.net suggests there’s really not long to wait now. “If your favorite exotic is in need of aid and succour, help is on the way,” community manager David “Deej” Dague wrote. “We’re about to give you more reasons to covet almost all of the Exotics in the Grimoire deck. With the last update behind us, we can start to telegraph the next. Exotics are about to come off the workbench. We’ll be shuffling the cards before The Dark Below launches. Just in time for fresh targets. We know you’ve been waiting and asking while we’ve been working. 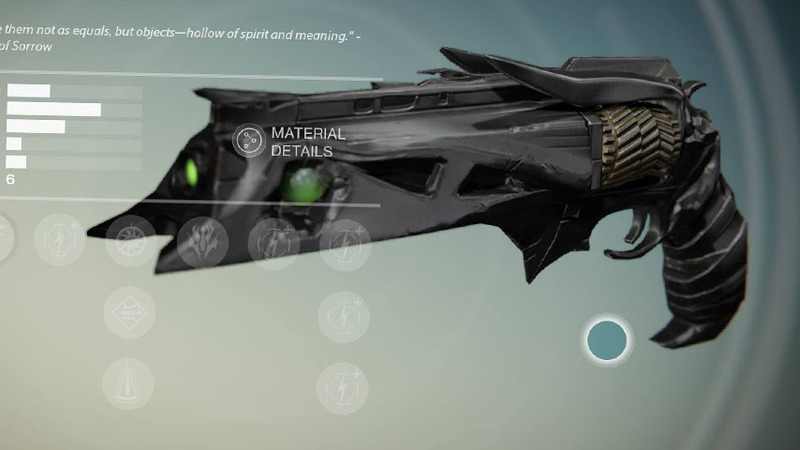 In the same update, Dague once more acknowledged the unintentional nerf to Thorn, a popular exotic hand cannon, while saying The Last Word has not been affected, as many players claim. An update is coming to fix Thorn, according to sandbox designer Josh Hamrick, and maybe even more than fix it. “Soon, Thorn will be restored to its former glory… And then some,” he teased.